Jack Hickey joins us today for the second part of our Great Expectations series to discuss typical expectations following a hamstring muscle injury. Jack is fresh from presenting his excellent hamstring research at Sports Congress in Copenhagen. His work alongside a great team in the research group at ACU is changing how we manage these very common injuries so Jack is an ideal candidate to talk about helping your hammies! For more from Jack follow him on Twitter via @JackHickey89 and check out his podcast on Clinical Edge. Sign up below for our free achilles webinar and join our waiting list for Running Repairs Online to be the first to know when it’s available for enrolment. Rehab of a “typical” hamstring strain injury tends to last between 2 to 4 weeks. However, one of the main difficulties with hamstring strain injuries is that they are not always “typical”. For this reason, thorough initial and ongoing clinical assessment is needed along with a structured and criteria-based rehabilitation protocol to ensure each individual hamstring strain injury is managed appropriately. The first week of the rehab journey is typically characterized by localized pain and discomfort at the site of injury, exacerbated by palpation, stretch and isometric muscle contraction. These symptoms can subside quite quickly, often by the end of the first week, which can lead to a false sense of security and lack of adherence with rehabilitation, as the patient “feels fine”. However, objective assessment of hamstring muscle structure and function often reveals underlying deficits, which need to be addressed to reduce risk of re-injury. Beyond the first week, rehab exercises are generally progressed and should include exposure to long length and eccentrically biased exercises if these have not been commenced earlier. By the end of the second week, the injured athlete is often beginning to re-introduce sports specific activities and participate in modified training drills. By the third to fourth week, most individuals with a hamstring strain injury will be completely symptom free and have resumed normal training, building up towards a return to full activity. If signs and symptoms persist beyond three to four weeks, this may indicate a more “serious” hamstring strain injury. Patients often find basic tasks such as tying their shoes, walking up and down stairs and prolonged sitting quite difficult and/or painful in the first 48 to 72 hours following acute hamstring strain injury. It can be difficult to know when to start performing rehab exercises, especially when pain is present and this can lead to fear avoidance behavior. As recurrence rates are high, you may often deal with patients who have experienced multiple hamstring strain injuries. These individuals often present with a lack of confidence in their ability to perform certain exercises or activities during rehabilitation due to fear of re-injury. Patient education and feedback is critical to ensure adherence and success with a rehabilitation protocol. 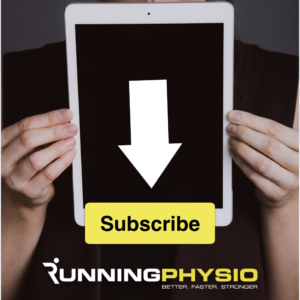 There has been a plethora of excellent research in the hamstring strain injury rehabilitation space emerge in recent times, in particular, three papers all published within the past 12 months. Whiteley, R., et al., Clinical implications from daily physiotherapy examination of 131 acute hamstring injuries and their association with running speed and rehabilitation progression. Br J Sports Med, 2017. Full text from ResearchGate. van der Made, A.D., et al., Intramuscular tendon involvement on MRI has limited value for predicting time to return to play following acute hamstring injury. Br J Sports Med, 2017. Mendiguchia, J., et al., A Multifactorial, Criteria-based Progressive Algorithm for Hamstring Injury Treatment. Med Sci Sports Exerc, 2017. The first of these papers by Rod Whiteley and his colleagues at Aspetar , is a must read for any clinician considering which clinical assessments to perform to get a gauge on prognosis following hamstring strain injury. To gain further understanding of the need for an individualized approach to hamstring strain injury rehabilitation and the potential danger of misinterpretation of MRI findings, the paper by Anne van der Made  is an excellent read. Finally, to implement a comprehensive and individualised approach to hamstring strain injury rehabilitation, the criteria-based progressive algorithm described by Jurdan Mendiguchia  is an awesome one-stop-shop paper.